This guide is the essential handbook for anyone researching ancestors who were in the Indian Army which was organised and run by the Indian Government from its inception in 1858 to Indian Independence in 1947. 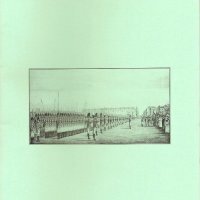 With precise references to sources throughout, the book guides the reader through the various stages of the development of the Indian Army and covers aspects including the structure of the army, campaigns, the various regiments, as well as details of how to find information on officers, NCOs and other ranks; attestation, training, service history, leave, pensions, wills, etc. There is also a soldier’s detailed career path illustrating what can be found in the various records cited in the book. FIBIS MEMBERS – please select the special Member’s Discounted price from the drop down box – if not a member then select RRP.